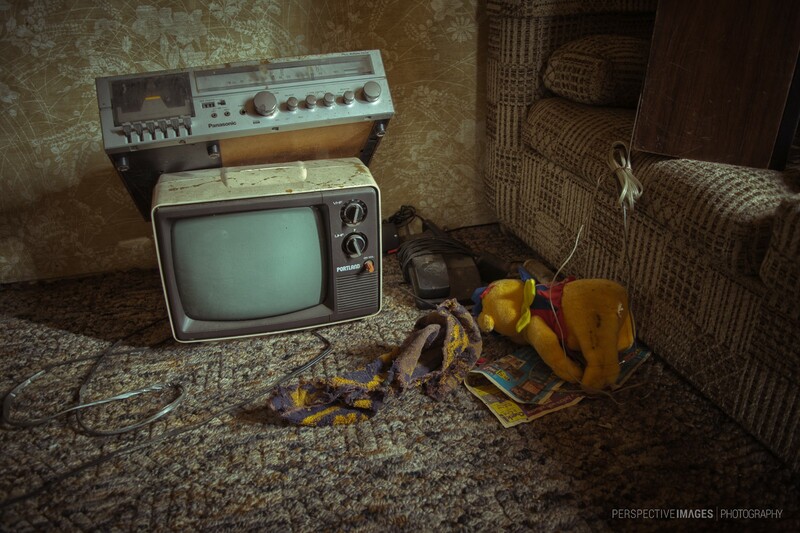 The signal has been long missing for this 80’s era television at an abandoned Colorado mountain home and once loved toys sit lost and forgotten. Tapedeck and tube television! Yeah this really the past! Great mood! And combined with the carpet and sofa it was like a time machine! I don’t know how you find these places, but they always seem to be waiting for you. This one, was another great photographic opportunity. I’m always on the look out for abandoned places, every once in a while I find one with some unique personal history. Tout, absolument tout ce que j’aime ! A tape deck, an analogue tv with dials! A phone with a chord. It wasn’t even so long ago that such items were used every day. Now they make us think of times that seem ages ago. The teddy bear is a nice touch.